This is to raise as much as possible for an organisation very close to our hearts, Féileacain. 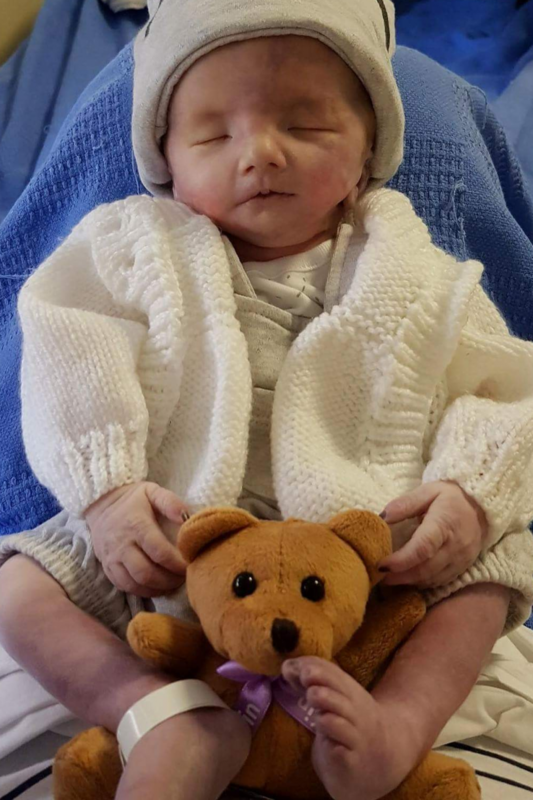 As most of you know we lost our little boy Alfie on the 23rd May 2018, after he was born at 34wks 4days. We knew from the scan at 22wks something was wrong, but it wasnt until we went to Holles st the following week at 23wks, just how bad it was. We were basically told Alfie was incompatible with life, but we never gave up, no parent will want to hear those words, all we could see was our perfect little boy who spent day and night kicking Mammy, and reacting when his Daddy & big brother talked to him. We continued on a very tough pregnancy, until they decided to induce at 34wks due to complications that could have arisen had We gone full term. After a failed induction, Alfie Dunne was born via c section on the 22nd may at 22.56 and lived for 2hours. The most precious 2hours. All 5lbs of him was just perfect, he was our little warrior. He fought to stay with us as long as he could, and we never gave up hope for our little fighter. We were blessed to have had him with us for the time we did, we treasured every kick and punch, every scan, seeing his beautiful little face. And then to get to meet him alive was all we ever wanted. He couldnt stay, but that was ok, he had work to be getting on with up above and we no he is minding us every day. I can just picture him as a very busy little boy, he was sent to us for a reason and he was taken for a reason, as hard as it is to comprehend, its the only way we can think of it or we will be filled with anger and thats no good, hes a very special boy that gave us so much joy and happiness, thats how we will remember him. When I think of my Alfie I want to smile and think of all the good hes doing, even on the really sad days. After we had Alfie, Féileacain came into our lives, real life wonderful, compassionate people, who too have beared this heartache of their own. These are all people that have too lost babies, and know first hand what it feels like. Far too many didnt have the chance to have Féileacain when they had there babies and didnt get all the things they provide, and for that reason alone it is so important to have such a fantastic organisation available to people who need it. They are a non profit organisation and that is why fundraising for them is so important. And to be able to give back and say thank you and do it in memory of our little boy is an honour. €200 could fund their helpline for one month! On Sunday the 16th of September we are holding Alfie's Tea Party in Terrerath Community Centre from 2pm, there will be bouncy castle, face painter, kids dj, tea, cake and so much more. There will be a fantastic raffle on the day with loads of brilliant prizes. A few people were onto us saying they wanted to donate but cant make it on the day so if we had a page they could donate to it would be great, so here we go. Every little helps, no matter how big or small, we thank you in advance and if you can make it on the day be sure to pop in for tea and cake!